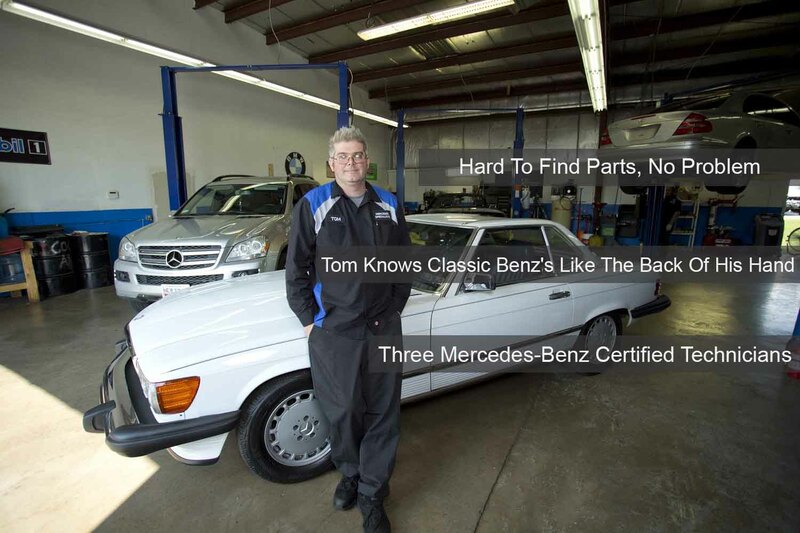 If you own a vintage Mercedes vehicle but can’t find the ideal classic Mercedes repair and service center, then you have just landed on the right place. We at Mercedes Specialists take pride in offering classic Mercedes repair and service. Every classic Mercedes model was once a masterpiece. If you own such a vintage model in a bad state, head over to our facility and we will bring back its glory. Our team of experts specialize in vintage Mercedes repair & service and will ensure that your classic car is running great again. Our state-of-the-art facility has all the high-tech equipment needed to rebuild or repair your classic Mercedes. Whether your car has common issues such as oil leakage, electrical faults, engine vibration or a major problem in the powertrain, suspension or transmission, our technicians will provide you with the best classic Mercedes repair and service at a reasonable price. We specialize in finding the best hard to find parts, and we ensure that the repair parts match perfectly with your vehicle. Visit our facility today located in Westminster and take advantage of our excellent classic Mercedes repair and service options.